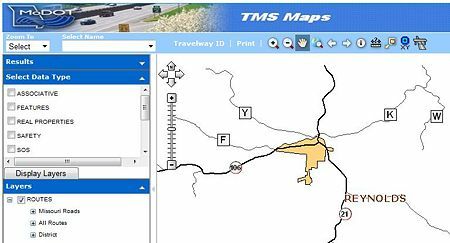 When Transportation Management Systems (TMS) was implemented in 1998, it only presented information for travelways (routes), safety, traffic and pavement. TMS is now comprised of client/server applications, web-based applications, ReportNet/ Crystal Reports and ArcGis tools and products. Over the years, the number of applications, reports and mapping products has exploded. There is also a component that allows for the addition of photos and documents related to certain inventory items. This page was last modified on 4 November 2016, at 08:21.